Comment	 The central region of Orion's belt contains numerous features produced by interstellar gaseous material. One such object is a dim reflection nebula known as the Tear Drop (IC423). 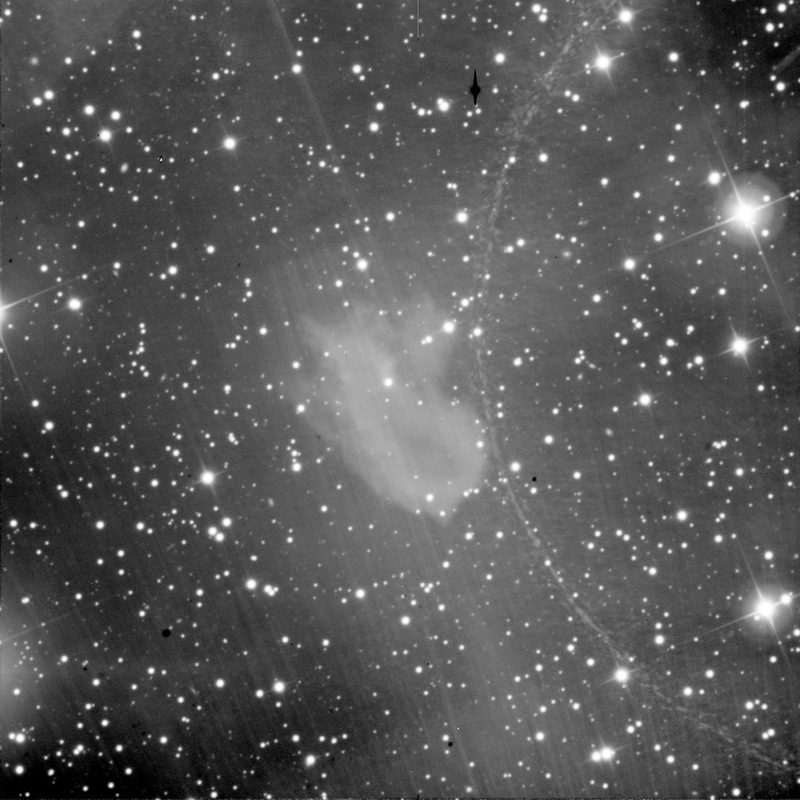 The dusty characteristics of the nebula reflects light from two bright stars nearby, Alnilam (mag 1.6) and Mintaka (mag 2.2). The Tear Drop Nebula resides 1,500 lightyears away.